A broad range of velour backed sanding discs for use with random orbital sanders. 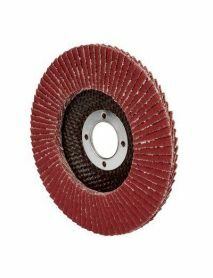 We offer a range of discs to suit all applications, from general woodworking & metalworking to GRP, automotive paint refinishing/rectification & stone/marble refinishing. We offer a range of hole patterns to suit various extraction systems. We also offer a broad range of consumables such as replacement backing pads & accessories & new tools in both air & electric if required. Norton Floor Sanding RED HEAT 150mm Discs to fit any 6 inch machine including Bona Flexisand Powerdrive, Lagler Flip Edger, Lagler Elan Edger. • 100% patented SG (Seeded Gel) ceramic grain is exceptionally sharp for fast coating removal with less loading and longer life; produces finer scratch pattern for a better looking floor. • Ultra tough; stiffer paper backing cuts more aggressively, resists tearing and snagging. 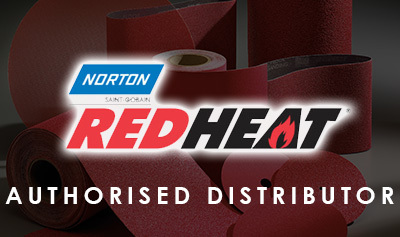 BND Abrasives is proud to be an Authorised UK Distributor for the Norton Red Heat!